Countdown to Assassination Classroom: Koro-Sensei's Great Besiegement!! Time until Assassination Classroom: Koro-Sensei's Great Besiegement!! release day! 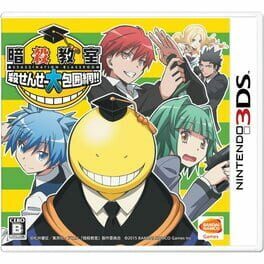 Assassination Classroom: Koro-Sensei's Great Besiegement!! Learn more about Assassination Classroom: Koro-Sensei's Great Besiegement! !